I am sure that you have grown tired of reading words so I hope to portray the meaning of women’s right in one picture. It is said that a picture is worth a thousand words, well I hope this picture says everything. My mother was the oldest child in her family but she never got the love and attention that my younger uncles got. 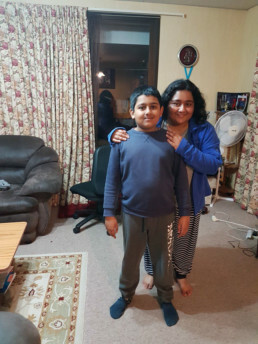 This is my younger brother. In the past, there would have been severe differences and bias being made against us. Thanks to the women who fought for equality, I am able to look at my brother with love instead of resentment. The suffrage movement to me, personally means fighting for something that should be your right. It is fighting for equal chance and opportunity, regardless of gender. Like I have stated, I do not wish to bore you with long words, so let my picture do the talking. 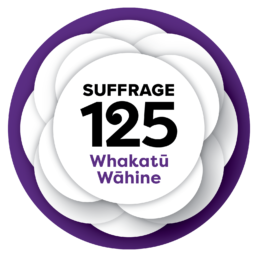 We are proud to be a part of the Suffrage 125 national event programme. The work published on this site is not permitted to be reproduced by any process without the express permission of the publisher and original author.